We have partnered together with Baby Einstein today to share this fun Sand Castle Craft with you. I was compensated for this post and all opinions expressed are my own. Traveling to the beach or lake is a favorite activity for families during the summer months. Kids love to feel the cool water on their feet and playing in the soft beach sand is an unforgettable childhood experience. When you get home from your travels the fun doesn’t have to stop. 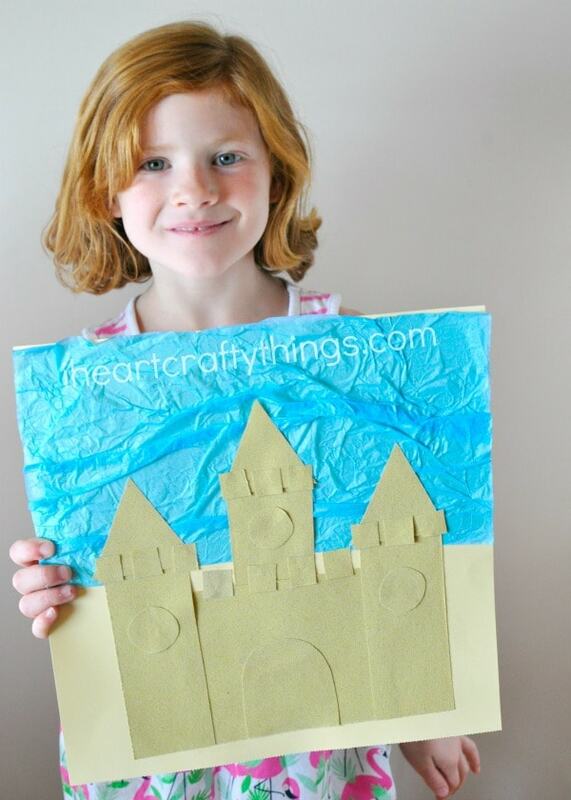 This awesome sand castle craft is a great summer activity for kids to make before or after visiting the beach. It’s also a fun and simple way to bring the beach indoors. 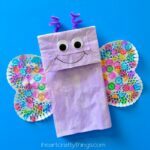 Along with the fun of creating your own sand castle craft, this activity is also a great way to refresh or work on learning shapes. 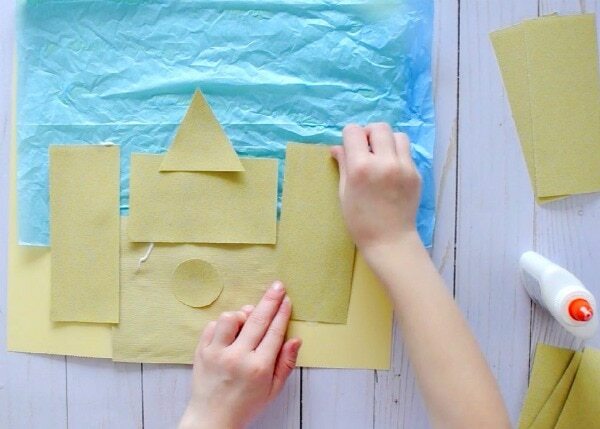 The texture of the tissue paper and sand paper also creates a lovely sensory experience for children of all ages. 1. Gather your supplies. 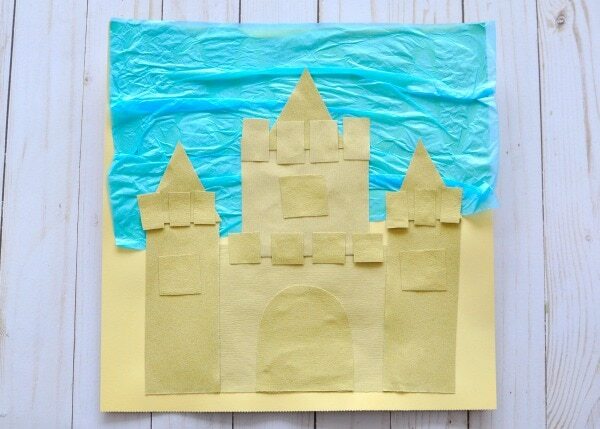 Begin by cutting out different shapes from your sand paper sheets. 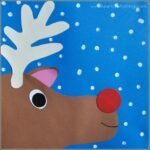 Cut out rectangles, triangles, small squares, circles and any other shapes you’d like. Leave a few of the sand paper sheets uncut for use as well. 2. 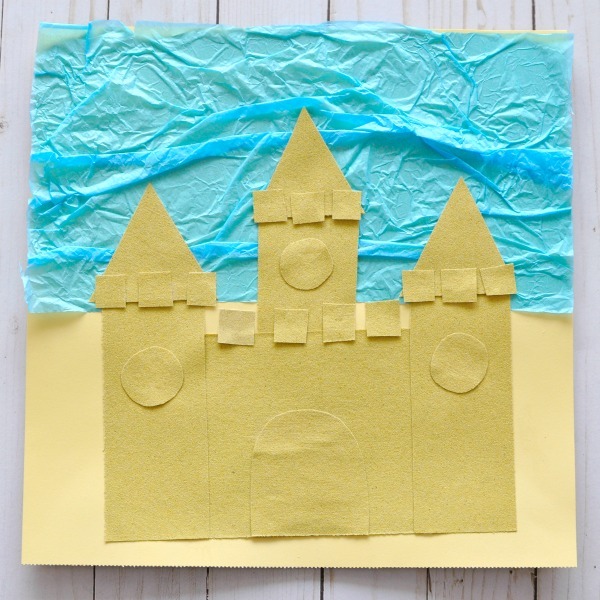 Lay out the tan cardstock, tissue paper, sand paper shapes and school glue on a table and let children create their sand castle craft. 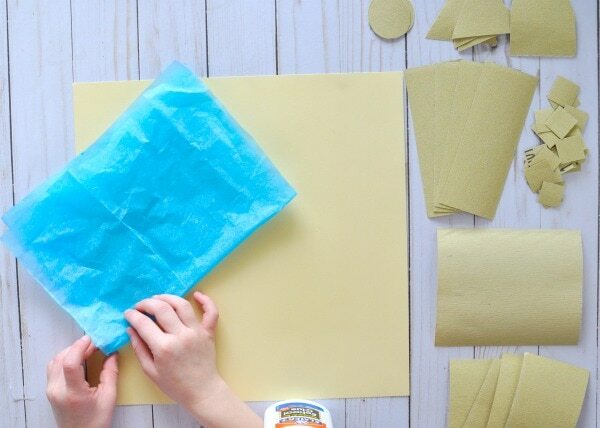 If completing this activity with a preschooler or elementary-age child, try allowing them to cut out the shapes from the sand paper on their own to promote improving scissor cutting skills. 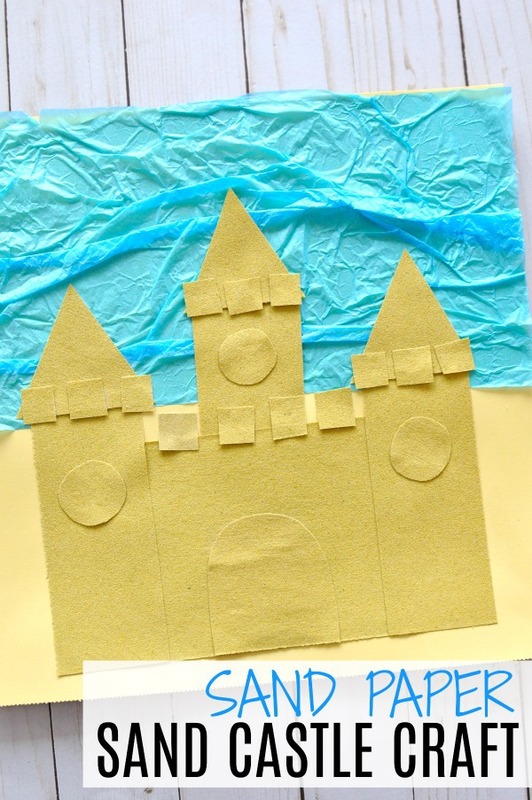 With the variety of different shapes available, every child will love nourishing their creativity by creating a unique looking sand castle craft. 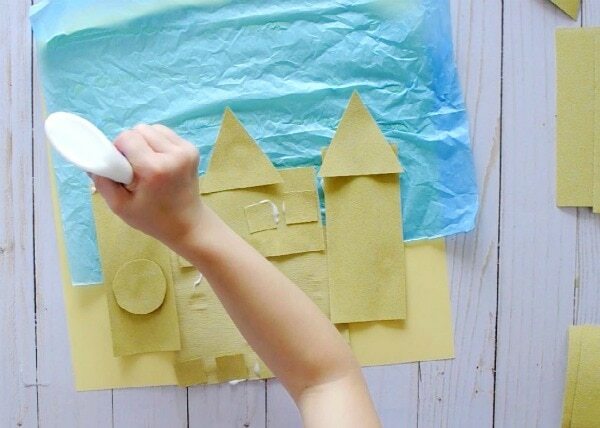 Display the finished sand castle craft on the fridge, an art wall or somewhere in the home or classroom where children can feel proud when seeing their artwork. What fun places does your family enjoy traveling to in the summer months? Make sure to subscribe to Baby Einstein on You Tube where you can see a video tutorial of how to make this sand castle craft. You will also find engaging videos for your little ones to watch. Looking for more fun summer activities for during or after traveling? This word building travel kit will come in handy during those long car rides. You might also enjoy this puffy paint and textured sea star craft after visiting tide pools at the beach. I wrote this review/blog post while participating in the Baby Einstein Blogger Campaign and received monetary compensation and/or free products to facilitate my review/post. 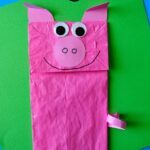 Mother’s Day Flower Pot Craft -Easy gift for kids to make for Mom!